We all love visiting Goa over and over gain. 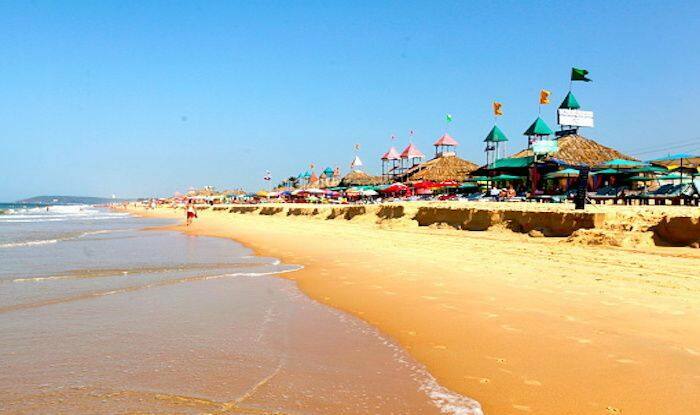 Imagine now being able to visit Goa with a differently-abled loved one. In an attempt to make Goa accessible for people with mobility challenges, a travel company called Enable Travel serving people with mobility issues, has joined hands with Ezy Mov, India’s first point-to-point wheelchair taxi service provider, to offer a seamless experience to those in need. In the first phase of January of this year, five such vehicles will be introduced. It’s not a surprise that Goa serves as one of the most popular Indian travel destinations for both domestic and international travellers, but the lack of transport facilities for people with mobility issues, including elderly travellers, or those who’re disabled in any way, is what keeps them from experiencing the place. To ensure barrier-free travel and enhance transportation within a destination for such people, the initiative is being brought into effect. Their commitment is towards making travel easy and hassle-free in India and to create an inclusive and accessible travel environment. The vision of providing end-to-end assistance to people travelling from all over the world into India and Goa in particular is going to bring about a revolution. This service will also be available for the local population to help them meet their healthcare and social needs. The initiative is in partnership with various travel providers, hotels, transport companies and disability experts. The service in Goa will definitely be in action this January; first with five vehicles, in specific locations and with a two-pricing model of rental services and catering to healthcare or social needs, where senior citizens also become stakeholders. As soon as it picks up, there’ll be many more vehicles added to cater to the needs of the people.